Time: Saturday, Sunrise - 4 p.m. & Sunday, Sunrise - 2 p.m. or 30 minutes before daylight, whichever comes first. Single hook only; 1 hand-held rod; five (5) fish limit. NO fishing on Friday, September 26th., 2014; NO fishing before / or after tournament hours on Saturday, September 27th. & Sunday, September 28th., 2014. 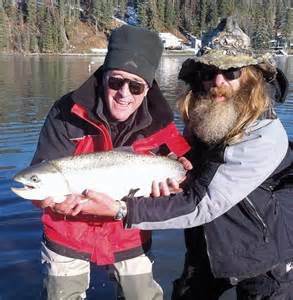 Trout only will be weighed; No dry fish will be weighed; Smallest trout must be 7 inches. Participants may not fish with individuals not enteres in the tournament. All trout must be at weigh-in located at Patriot Park, Pigeon Forge, traffic light #7 by 4 p.m. on Saturday & 2 p.m. on Sunday. Tournament hours are 30 minutes before sunrise to 4:00 p.m. Saturday. and 30 minutes before sunrise to 2:00 p.m. on Sunday. Winners will be determined by total weight of the 2-day tournament. All Gatlinburg and state regulations will be observed. All participants will be subject to a polygraph test. 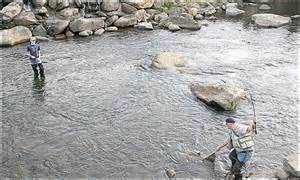 Smoky Mountain Trout Tournament officials reserve the right to disqualify any participant. Participants must be present at weigh-ins to win. Drawings for prizes will be held at each weigh-in. Tournament badges are non-transferable and non-refundable. 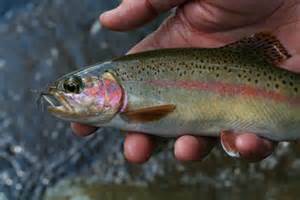 Late registration for Fall Trout Tournament from 5 a.m. to 7 a.m. at Rocky Top Outfitters on September 27th. & 28th., 2014. 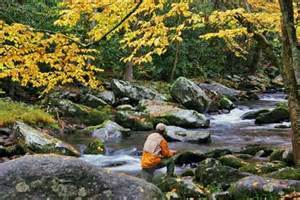 Register for the Trout Tournament at Rocky Top Outfitters.